Dawson Allington/Baby Jeep Racing KOH2018 was Dawson’s first Ultra 4 race and first race of his career. Dawson has been rock crawling for 7 years. He has a passion for Jeeps, especially TJ’s. He bought his first TJ at 16 and has been hooked ever since. Dawson attended his first Ultra 4 race in 2016, National Championships. Dawson met VP Racing crew member, Henry there and started learning everything he could about racing. 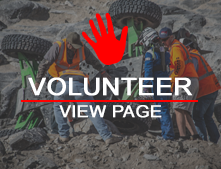 Dawson went to KOH2017 and volunteered on VP Racing teams pit crew. From that point he was serious about studying the ins and outs of a race team. Dawson continued building his TJ in hopes of racing in the 2018 Ultra4 Series. After Nationals in October of 2017, Dawson was informed by VP racing that they were selling their race jeep. Dawson felt that it would be quicker to start his racing career with a Jeep that was already build. Dawson purchased VP Racing’s Jeep tore it down painted it red, to match his other TJ. ‘Baby Jeep Racing Team” was ready for KOH2018. Thanks to his Co-Driver, Mark Allington, his family, Ben Varozza, Jacob Pacheco and all of VP Racing team, Falken Tires, Sierra Gear and Axle, Currie Enterprises, Lone Peak Trailers, Clegg Engines and City Signs for all the support.